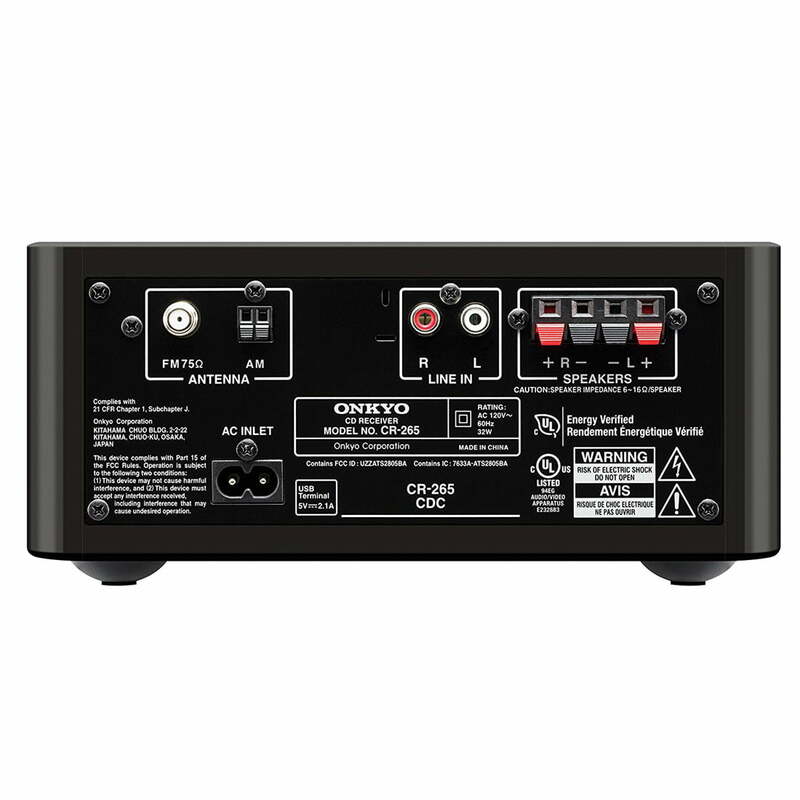 Onkyo CS-265B receiver boasts over 25 percent more amp power with improved signal-to-noise performance compared to the popular model it replaces. This means that music sounds even clearer with less distortion at high volume. 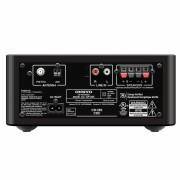 The CS-265 includes a pair of bass-reflex speakers fitted with 3 15/16 ” (10 cm) woofers and 3/4 ” (2 cm) balanced-dome tweeters to ensure that full-spectrum sound is reproduced clearly. The cabinets feature cool rounded edges and sculpted grilles. 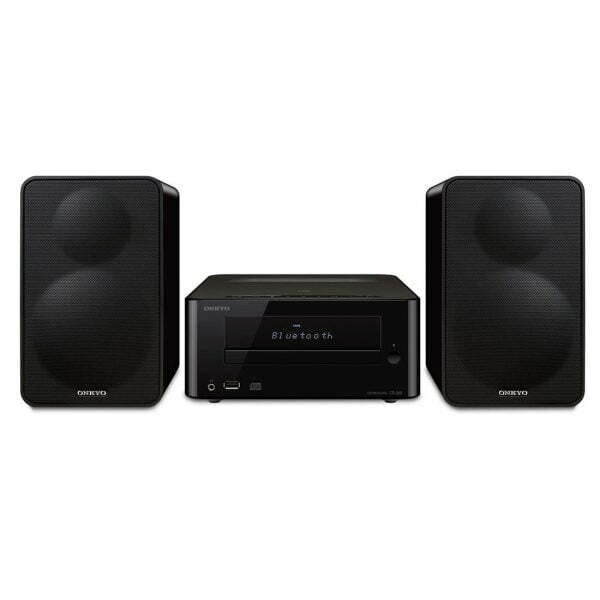 Compact and robust, these speakers fit comfortably and sound great in the smallest spaces. The CS-265B stereo features a front-loading CD player, Bluetooth 4.0 wireless connectivity, analog stereo input, and USB connectivity for iOS devices. Its bass-reflex speakers feature 3.9″ woofers and 0.75″ dome tweeters for enhanced sound reproduction over a wide volume range. USB ConnectivityConnect your compatible iOS device via the front USB port and you’ll be able to recharge while playing your favorite tracks. 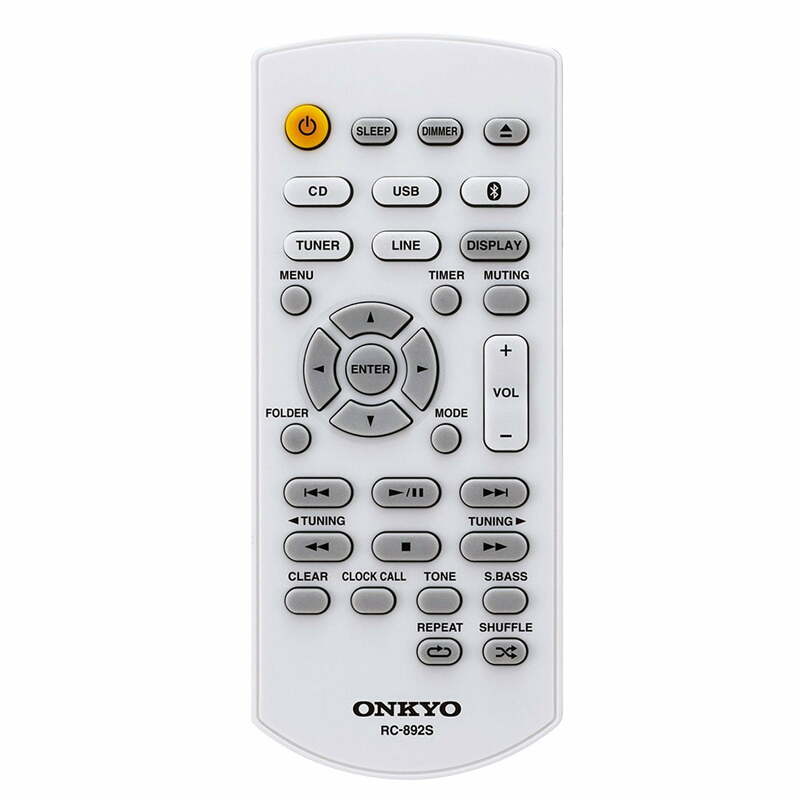 Select your songs via the device itself or with the system’s remote control. MP3s can also be played back through compatible USB flash drives. Sometimes music calls for a little extra bass punch. The two-mode Super Bass function on the CS-265B gives a boost to the low-frequency band, to add just the right amount of heft to bass guitar and kick drum. Jump to any of 30 preset radio stations without fear of losing the station you’re listening to. 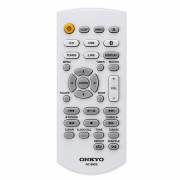 Once you’ve got your favorites locked in, you’ll never have to scan and reprogram again! A battery-free memory backup stores them safely even if you disconnect the system.